Join Beta Program to get early access to the exciting, powerful, brand-new Yeastar Management Plane before the official release. And you will get massive discount if you commit to Yeastar Cloud PBX after the beta testing! Welcome to the Beta Program of Yeastar Management Plane (YMP) for Yeastar Cloud PBX. Using the power of Cloud, Yeastar continues its tradition of innovation and keeps up with the latest advancements in unified communications. We would like to familiarize you with the Beta Program. Beta Candidate selection has already begun. Anyone interested is encouraged to apply! 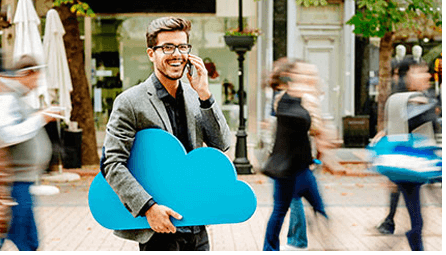 Inheriting advanced features from S-Series, Yeastar Cloud PBX maintains a significant competitive edge, yet evolves to meet different business needs with superb scalability and reliability by putting everything in the cloud. With the embedded platform for central management, Yeastar Management Plane (YMP), solution providers and telecom resellers can easily start their hosted PBX business. No more overwhelming workload of separate instance installation and management. Yeastar Cloud PBX allows YMP owners to customize according to customers’ various business needs. YMP owners can expand and reduce users and concurrent calls for each instance with a few clicks. YMP supports max 100 PBX instances, 2000 user and 500 concurrent calls, while each PBX instance supports max 500 users. With the advanced features identical to S-Series PBX, rock solid reliability and consistent performance is highly guaranteed. Better yet, Yeastar Cloud PBX unites users from dispersed locations by simply connecting them to the same instance. Moreover, by applying Linkus Mobile Client, one can practically take the phone on the go, without sacrificing comprehensive in-office functionality. Explore the power of Yeastar Cloud PBX here. The goal of the Beta Program is to identify issues and solicit early feedback on new features and bugs in order to produce a quality product that can deliver maximum results. We believe it is the most effective way to find out whether our designed features are in line with our partners’ operational requirements. Your input is extremely important in meeting our mutual goal. As a beta tester participating in this in-depth, hands-on testing, you contribute to the quality of our product and helps to shape its future. Testers can provide suggestions, improvements and new feature requests to us, which may be implemented into the final products. This Beta Program also gives you and your company the opportunity to see and become familiar with the latest technology, allowing you to prepare for the new version. Yeastar is looking forward to gathering feedback that beta testers provide on functionality and performance to help fine tune this innovative new product as well as resolve other relevant issues before its official launch in the market. We are committed to delivering a product that performs up to the standard our customers anticipate. *Sign the commercial contract with MOQ 250 CC to get the discount. The beta test period has ended. Yeastar Cloud PBX is launched now! Learn more here. If you are still interested in testing Yeastar Management Plane(YMP), sign up for 30-days trial here!